He has saved a team from relegation, led them into Europe and now recorded two wins and a draw against one of Europe’s most successful coaches. Julian Nagelsmann makes this coaching game look easy. On Saturday evening, the 30-year-old tactician inspired Hoffenheim to another victory over an out-of-sorts Bayern Munich, who had plenty of possession but did not do enough to test the home goalkeeper Oliver Baumann. In the end, Carlo Ancelotti, who has won three UEFA Champions Leagues and league titles in four countries, had to accept his team were second best. The season is only three matchdays old and it would of course be premature to say this result blows any nascent title race “wide open”. Nevertheless, as the campaign's first contest between two of last term’s top four sides, this was a significant statement delivered by Nagelsmann’s team, and one that once again underlined his talent for coaching at this level. In three league games against Bayern, Nagelsmann remains unbeaten, having taken a point at the Allianz Arena last season and now won both his home games against them, each without conceding a goal. Each result offers proof of his intuitive gifts for coaxing the maximum out of a team that is more than the sum of its parts, but just as significantly, it is evidence of how he has transformed the mentality of the club since his arrival. Before his arrival at the club, Hoffenheim had drawn four and lost 12 of 16 league meetings against Bayern; now they have taken seven of the last nine points on offer in this fixture. And looking at the bigger picture, the Sinsheimers are now 19 league games unbeaten at home, having lost just once at the WIRSOL Rhein-Neckar-Arena in the league under Nagelsmann’s stewardship. He may be too modest to dwell on the numbers, but fans and the media will certainly focus on them, and they do not only include his record at professional level. 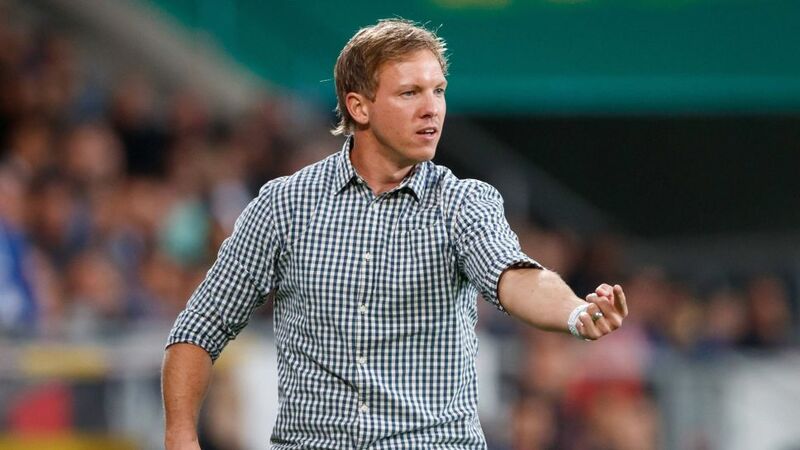 In fact, in five matches against Bayern as coach of Hoffenheim’s U19 side, Nagelsmann was also unbeaten. Whether in charge of the U19s or the first team, Nagelsmann has found a way of instilling enough confidence into his players that they know they can go toe-to-toe with Germany’s most successful club. Watch Hoffenheim and that confidence is plain to see in the way his team pass the ball and shift shape with ease, as well as, of course, in the results they are now delivering. Saturday’s victory over another Champions League competitor could hardly have been a more appropriate response to defeat to Jürgen Klopp’s team, and with Bayern at home now out of the way, it is difficult to envisage a team ending Hoffenheim’s sensational run at home. One thing is for sure: it will take a mammoth managerial effort to outsmart Nagelsmann on his own patch.